Donate to DCHS Class of 1963. Donations are used to keep our DCHS1963.com website up and running. NEWS: Here's an interesting article about classmate Dani Sandoval and his art (link), published in the November 19, 2017, issue of the Southwest Kansas Catholic magazine. Due to the work of Sue (Elwell) Riegel, we can post the high-res copy of our 50th reunion group photo on our website (see the link below to download the full-sized photo file). Sue also tracked down the names of everyone in the photo. Thanks Sue! Here's a link to the full sized photo. https://goo.gl/xPVwHt Click the link, then click the download arrow in the upper-right corner of the image, Warning - the full-sized photo file is 14Mb! Dan Krug, Sandy (Morrow) Sanders, Connie (Daeschner) Scott, Donald Richard Bickel, Sydney (Horton) Sauer, Norma Jean (Bumgardner) Wells, Martha (Stith) Suttle. Craig Harms, Dana (Williams) Kline, Marilyn (Leonard) Antrim, Robert Roberts, Marie (Ochs) Tweet-Jensen, Judy (Bartley) Finney. Max Paul Franklin, Nicki (Mayrath) Soice, Peggy (Zink) Loucks, Sue Ellen (Elwell) Riegel, Karen (Jones) Winfrey, Sandy (Sullivan) Stauth, Carol “Corky” (Cramer) Slattery, William “Bill” Slattery. Pete Gonzales, Janice (Henderson) Einertson, Janice (Baum) Henderson, Charles Robinson, Robert Williamson, Duane Naccarato, Bette (Pittman) Chuta. Frank Ontiberos, Russell Johnson, Daryl Gum, Alan George, Paul Bock, Jackie (Snyder) Carlton, Sharon (Orebaugh) Sawvel. Stanley Rumbaugh, Susan (Smyers) Lowe, Skip Cave, John “Mike” Wilhelm, Ron Peterson, Mark Woodruff, Harold Reed, Carol (Wilcox) Adolph. Norman Norton, Charles Lowe, Harry Zielke, Jim Hemphill, Thomas Maser, Vic Flegler, Ron Hamby. Ron Harms, Jay Combs, Bill Sweet, Kenneth Tague, Lewis Byers. Classmates! Don't Forget to Register! Be sure to register here on our website, so we can keep in contact with you! If you are registered, you will be able to view all your classmate's profiles and photos. Make sure we have all your contact information correct. Check out our yearbook photos. Upload a recent photo of you in your profile! 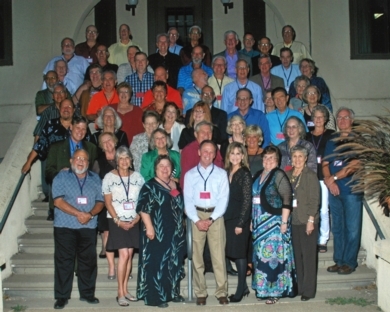 Our 50th reunion was a great success! We had almost 80 classmates come from all over the US, and over 120 people total attending at least one of our events, which included spouses, significant others, friends, and DCHS alumni from other years. Everyone agreed, this was the best reunion they have attended for any school, anytime! This was so much fun, we may want to do it again in 5 years. For now, be sure and keep your contact information current on our website at DCHS1963.com, so we will be able to keep in touch with all of you. Don't forget to upload all of your photos you took at the reunion up to our website. There are special photo galleries for each of the reunion events under the "Class of '63 Photos" link on the left top of the front page of our website. To put your photos on our website, you will first need to get all your photos stored into one or more folders on your laptop or desktop computer. You can't upload photos to our site from your smartphone or tablet, because the upload process uses Adobe Flash, which doesn't run on most smartphones or tablets. If you have personal or family photos, new or old, you may want to upload those to your personal profile on our website. Once you have your personal photos on your computer, go to our website at DCHS1963.com and click on the "Edit/Upload Photos" in the left navigation bar on the front page. Your "Master Photo" is the main photo of you. Just click on the "Upload New Photo" button to upload the photos. You can put captions on the photos, and set the order of presentation if you like. Remember, you will need to have the photos that you want to upload on your computer somewhere where you can find them, during the upload process. Don't be afraid to show off your family! Your profile photos will only be visible to other classmates who have registered on the website. To write stories about your high school days, or add other text to your profile, click on "Edit Profile" in the left bar. The Historical Photo gallery is for any old photos you have of the goings on at DCHS or in Dodge City while we were in school there. The other galleries are for the photos you took at the various reunion events. To upload your photos, Click on the gallery that you want to put your photos in. Once you are in a specific gallery, you will see a button that says "Create Your Own Photo Gallery Here". Clicking that button will create your personal group of photos inside any of the main galleries which will be attributed to you. In that way, everyone will know who took that group of photos. Now click on the "Add Photos" button to start the upload process. Then click on the "Browse" button to find the photos on your computer. Once you have browsed to, and opened your folder of photos, select all the photos you want to upload to your personal gallery. You can sellect all the photos in the folder using the "Control + A" key combination, or hold the Shift key down while clicking on the photos you want to upload. Once you have all the photos selected, click on the "Save " button, to start the upload process to our website. Once the photos are uploaded, you can put captions on them and even edit them. Don't forget to click the "Save Changes" button when you have finished uploading and editing all your photos. Then your photos will be posted on our website for everyone to see! Most devices will be able to view the cookbook in the browser after clicking on the above link. However, viewing the cookbook in a browser doesn't give you all the features that the electronic copy affords. To get the full use of the cookbook, you should download the cookbook file to your device and use the Adobe Reader application to open it. Open the cookbook in your browser by clicking on the above link. To download the cookbook file, look for a downward-pointing arrow in the upper-left corner of your browser window. Click that arrow, and tell the system where to put the downloaded cookbook file. Once the file has been downloaded, you should put the latest version of Adobe Reader on your device. You can also get the Adobe reader for the iPhone and iPad from the iPhone App store, and for Android devices from the Google Play store. The electronic version of the cookbook has some advantages over the original paper book. The electronic cookbook has a hyperlinked table of contents, as well as being keyword-searchable. This means that you can type in a word in the Find box in Acrobat Reader, and it will find the occurrences of that word in the cookbook. Once the PDF file is downloaded and you have Adobe Reader installed, you should open the cookbook in Reader. Click on the bookmark icon on the left margin of Reader to see the hyperlinked chapter markers. Click on a chapter marker to jump to that chapter in the cookbook. Some of the photos at the beginning of the cookbook are pretty large, so you may have to wait a few seconds for some of the photo pages to open. The whole cookbook has been OCR'd (optical character recognized) so you can search the cookbook for keywords in the recipes and ads. To search for a word in the cookbook, click on Edit/Find in the Reader top menu. A search box will pop up in the upper right corner. Type in the word you want to find, and then click on the "Next" button just below the search box. You will jump to the first place in the cookbook where that word is found. Click "Next" again, and you will find the second occurrence of that word. I typed in "Cave" and found myself in the band roster, and then found two recipes that my mother contributed to the cookbook. We are students of Dodge Senior High. Honor the Blue and Red. New DCHS Alumni Association Formed! The DCHS superintendent Alan Cunningham, informed me that they had just launched the DCHS alumni association a couple of weeks ago. See: http://www.usd443.org/Alumni.cfm Alan is encouraging all DCHS alumni to join their association. Dues are $10 for the first year, and $25/yr thereafter. A lifetime membership is $500 (you can pay this off $50/yr for 10 yrs). Alan said that they could have some brochures about the association available to hand out at our dinner at the Country Club on Saturday night, if we would like. The new alumni association website has a section for classes to announce their reunions, and keep in contact with classmates, much as we have been doing with our DCHS1963.com site. The alumni association website was set up too late for us to use, though. Trivia Question: Name the former DCHS student that went on to be governor of Kansas.